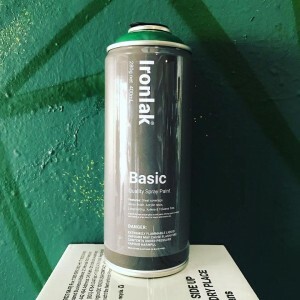 Ironlak Basic is a product that strikes the balance between quality and affordability. The range is based on the most popular Ironlak colours, with a gloss finish and variable pressure. Their acrylic base makes them compatible with other cans on the market. Hurry while stocks last! The Wrong Book is a humorous pointing book for early learners where red is blue, happy is sad, night is day and mom and dad are aliens. HuskMitNavn's unique illustrations only ratchet up the absurdity as a picture of a banana is accompanied by the word "apple", and the reader is left to decide what is real, the object or the word. Completely wrong in just the right way, this children's book plays with language and meaning just enough to provoke thoughtful laughs along the way.